What, when and where is the hottest recorded temperature in the Philippines? It's 42.2 deg. celsius on May 11, 1969 in Tuguegarao City, Cagayan. Tss. That's really hot! Our weary bods was overpowered by our exuberant souls. As if we were not yet traumatized by the most terrifying 7-hour boat ride we ever experienced, some of us decided to travel another two hours just to get to the hottest place in the country - Tuguegarao City. The lampitaw boat ride from Babuyan's Calayan Island to Cagayan's Aparri was one hell of a ride. It was like we paid 500 pesos to experience a one-of-a-kind horrifying journey. Out of those 7 hours, we had 6 hours of solid saltwater splashing all over our body. 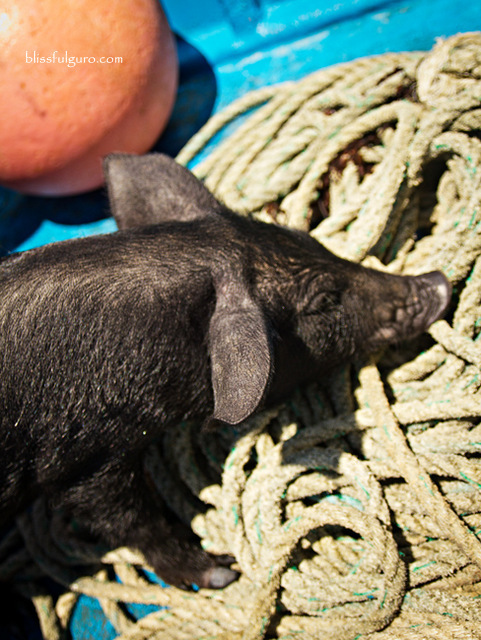 On board with us were a few locals and a native pig. The pig that was a few inches away from me. The pig that was an eye witness to what we experienced. One tip when riding a boat, try to always look for your boatmen on board, if they looked bothered then that is the sign that you need to worry and get all the life vests you can. But if they seem to be of their normal selves then stay calm. In our case, they were as calm as they can be. They wore motorcycle helmets (as protection from the waves) but they looked ok. So we had nothing to worry about even if the waves were bigger than our boat. Needless to say, we arrived wet but safe to Aparri a little past mid afternoon. We freshened up somewhere, grabbed something to eat and then went straight to the bus terminal. Some of the group decided to end the saga there and go back home while others decided to continue with the journey (while the momentum was still there). One of those was me. We took an aircon bus to Tuguegarao and paid 75 pesos for the ride. 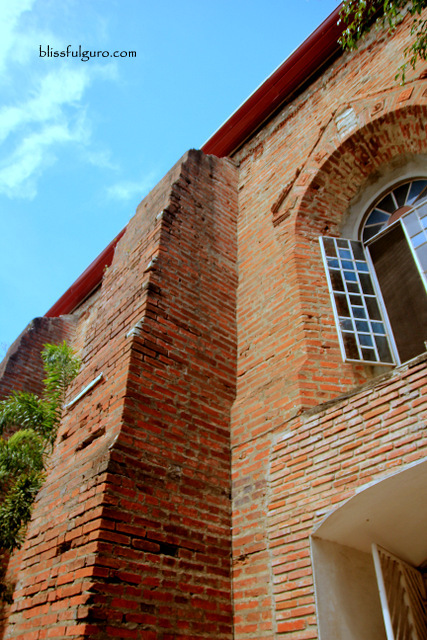 With no plans at all we went to Tuguegarao and explored the hottest place in the country. First in order was a place to stay for the night. 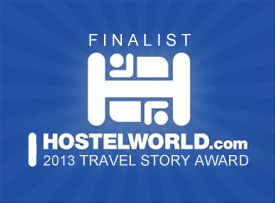 We checked our ever reliable search engine for the cheapest place to stay overnight. 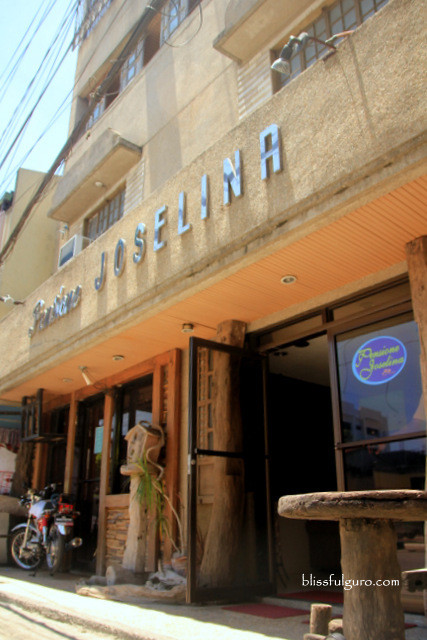 We hopped on a tricycle for 10 pesos per person and went to Pensione Joselina. 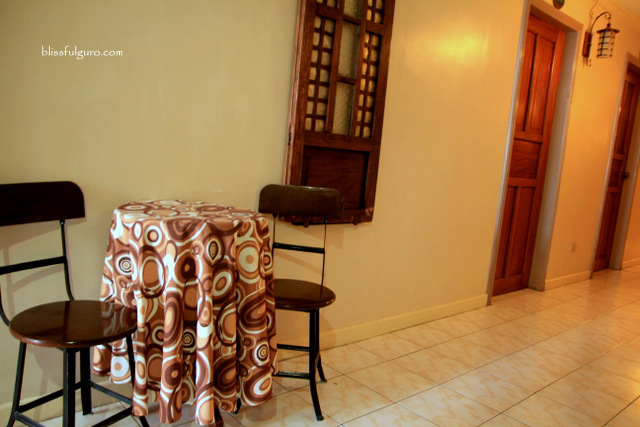 We checked in on their fan room which has an en suite toilet and bath for 450 pesos. We were famished and looked for a place to have a decent dinner. It wasn't my first time in the city and I remembered that the place gets cleared at around 8 pm. Restaurants and eateries were already closed at that time and all we could do was to settle on a makeshift eatery along the sidewalk which opens at night time only. 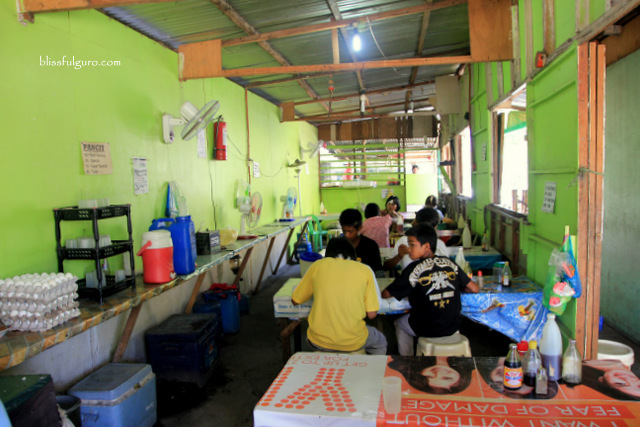 And much to our delight, they serve the famous Pancit Batil Patong for 50 pesos. I remembered the first time I've tasted this pancit. After that, I never forgot about its distinct flavor. The carabeef and the noodle itself were to die for. Their serving was enormous and included was the soup (batil) and some condiments of chopped onions and sliced calamansi. We agreed, on the very first bite, that this was the most legit pancit batil patong we've ever tasted so far. It was so tasty that we were not speaking for like a minute or so and just savoring its flavor. 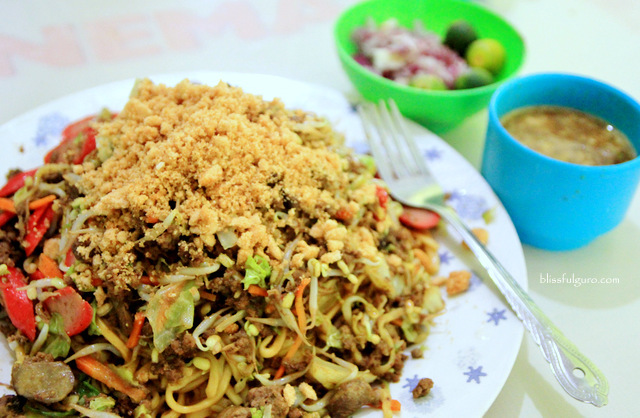 And up until now, we are still searching for its closest counterpart - nothing still beats this pancit. 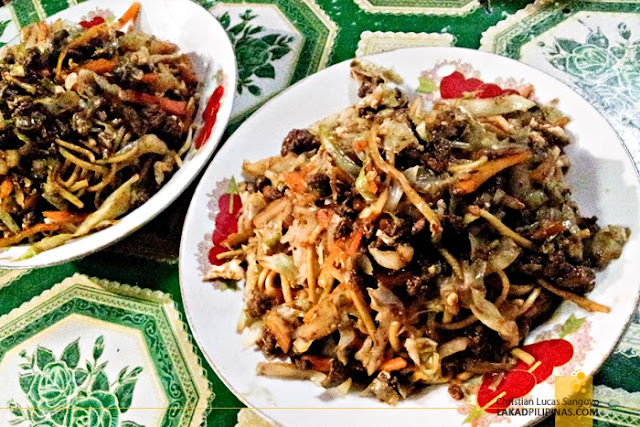 If there's just one good reason to go back to Tuguegarao, it will be that roadside pancit for me - hands down. We overslept from too much exhaustion from our 8-day jaunt in the Babuyan. After checking out from the hotel, we walked a few blocks away (leaving our bags in the hotel) to reach the Sts. Peter and Paul Metropolitan Cathedral under the intense heat of the sun. 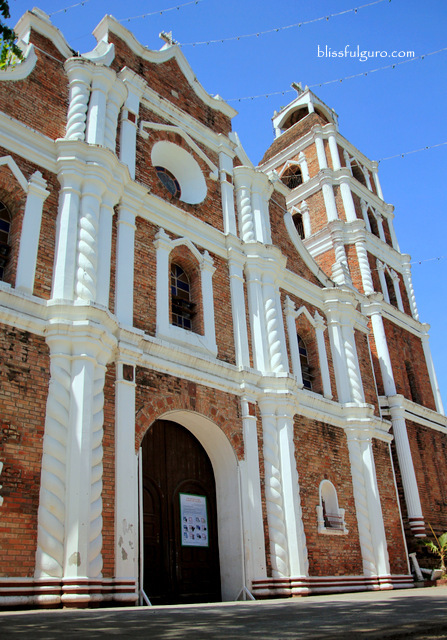 This 246-year old church is the biggest Spanish-built in the Cagayan Valley Region. 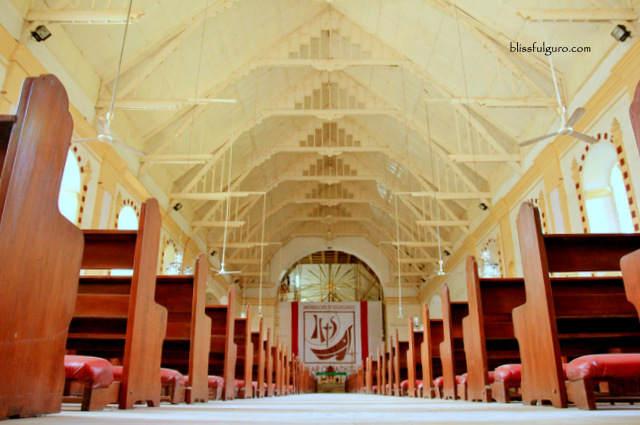 It suffered massive destruction in World War II but was rebuilt and is now considered as one of the most beautiful in the country. We were still dreaming about the pancit from last night. And then the search for the next best pancit was on. 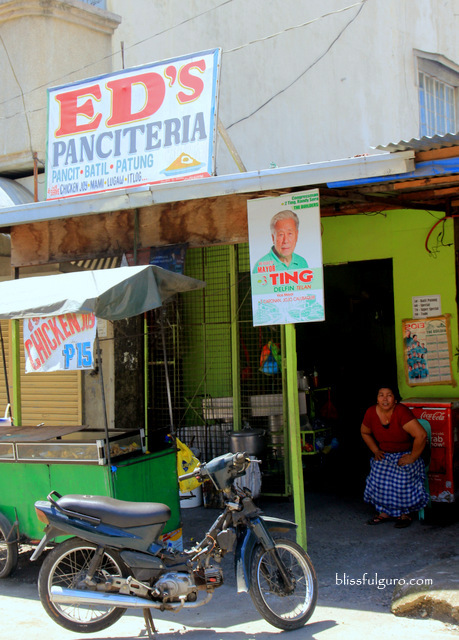 We found a panciteria near the Tuguegarao Cathedral. It was the ED's Panciteria and they serve nothing but Pancit Batil Patong. They have different serving sizes for the pancit which ranges from 50 to 80 pesos. 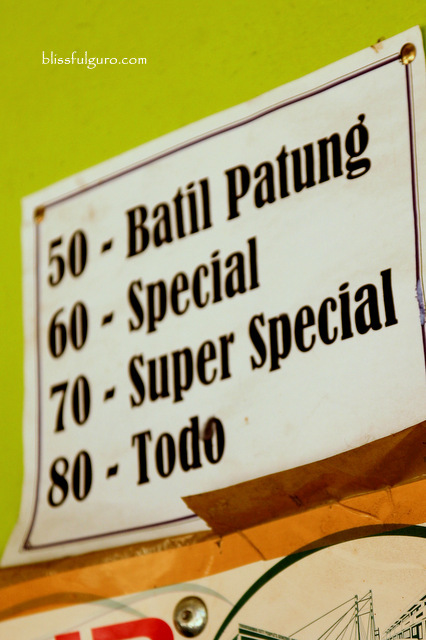 We ordered a Todo size which was priced at 80 pesos. Nobody was speaking after the first munch. A careful second and third one led to a verdict right away, it is no way near from what we had the night before. It was good but not as good as the one they make from the roadside. The last spot we visited for the day was the famous Callao Cave which I visited a year ago. I failed to reach the last 4 chambers of that cave due to bad weather the last time. I was so excited to finally go back and explore all 7 chambers inside. Commuting to Peñablanca was not an option at that time. Good thing we found a very kind tricycle driver who agreed with our 400 pesos roundtrip budget for the trike ride to Callao Cave from the city. Travel time was more or less an hour. 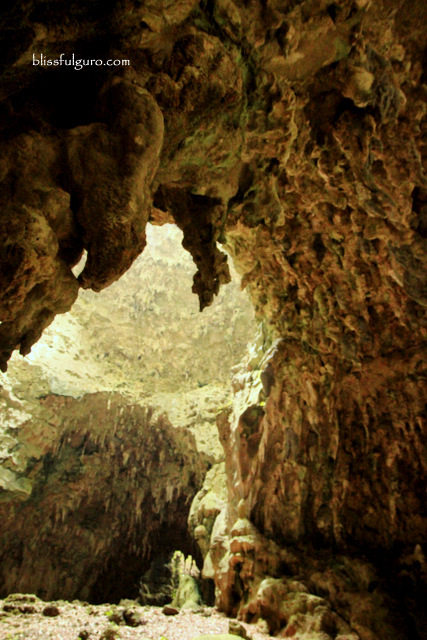 Being the "Cave Capital of the Philippines", Peñablanca boasts of over 200 caves, of which, the Callao cave is the most famous. Also, a 67,000-year-old human bone was extracted in the cave in 2007. Topping the 47,000-year-old Tabon Man that is known to be the first human in the country. We were brought by our trike driver to the Callao Caves Resort. 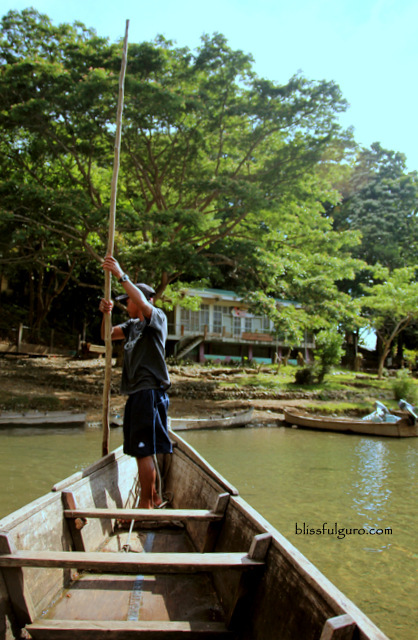 We needed to hire a boat for 20 pesos each/roundtrip to cross the Pinacanauan River and get to the Callao Cave. The cave is open from 8:00 a.m. to 5:00 p.m. everyday. An entrance fee of 20 pesos each person (15 pesos for Senior Citizens and 10 pesos for students) was collected and some kids were offering guiding services inside the cave - we declined. Also, I bought the best pure honey (according to my mom) as pasalubong for 150 pesos/750 ml. on one of the stalls outside the Callao Cave entrance (please buy me one if you happen to be there). The almost 200 steps going up the cave was not that hard to endure for there were some resting areas along the way. A nice view of the Pinacanauan River was one of those areas. I've only been to the cave's 3 chambers before and this hike is my revenge. And yes we did finish all the 7 chambers of the cave. I didn't realize how beautiful the cave was until I experienced every chamber. Given that it was a Monday, few tourists were exploring the cave. We had all the time to tour around the cave. This is truly one of our valued natural wonders. Tuguegarao City is truly the hottest place in the country. It boasts of the best pancit I've ever tasted, the most amazing cave I've been to. It is the best way to end an epic trip. The decision to extend 2 more days was well worth it; this was my first time to endure a 10-day trip and it was one of my most memorable ever. The almost 16-hour trip back to Manila brought mixed emotions. I was blessed to have been able to experience everything and was also melancholic about leaving it all behind me. 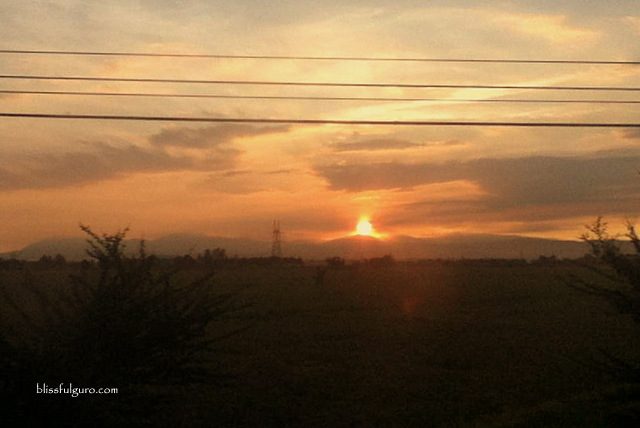 Experiencing a beautiful sunrise along the way was a welcoming assurance that I am exactly where I am supposed to be. Doing what I want to do. And blissful to be moving forward to a new phase of my life. Bring it on! horrifying journey, The pig that was an eye witness to what we experienced - parang natakot ako sa experience nyo dun ah sa pagsakay ng lampitaw hahaha... callao cave di ko pa pla napuntahan to kahit taga cagayan ako. 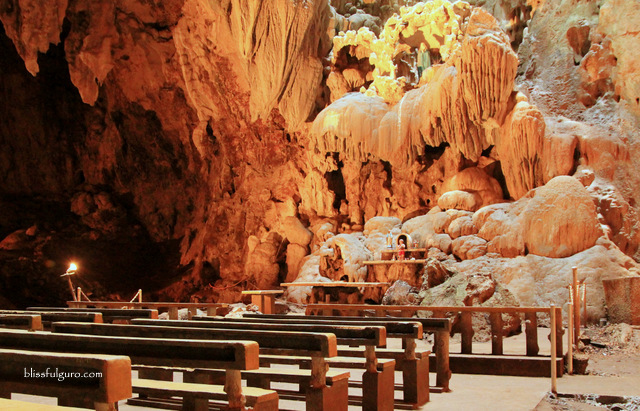 If not mistaken, dyan ata nag shoot yung wedding scene sa movie ni John Lloyd and Bea (The Mistress) sa Callao Cave. It's super nice, Ako na pinaglihi sa pancit, dapat ko matikman yang Pancit Batil Patong na yan. OMG! 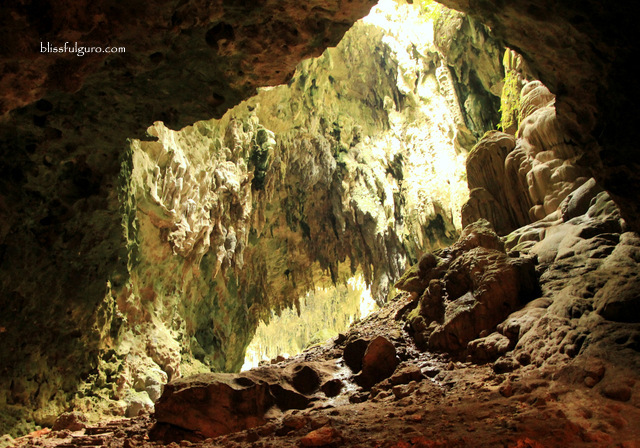 I'm going to Tuguegarao on November, but I'm worried that I won't be able to go caving because of the rainy season. Anyway! I have mentally noted all your advice! wow nakakatakam naman ang description mo sa pancit batil patung, carla. i wanna try that side carinderia too! 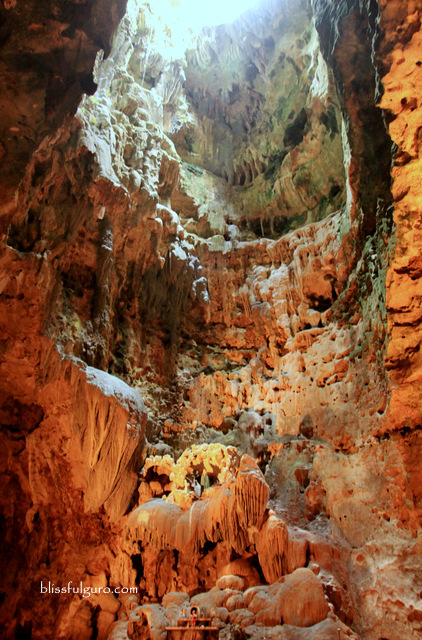 really need to visit callao cave. 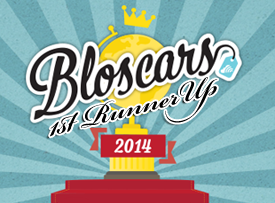 sayang we missed it last time. Gang nung Sts Peter and Paul cathedral! di naman siguro biglaan ang taas if ever kasi operated by the local government yun eh.. Very vivid colors of the images, ang ganda, ano gamit mo na CAM? The chambers inside Callao Cave is stunning! It made suddenly remember the movie - The Mistress which has partial shots in that cave.